Unakite Stone help to create emotion balance, to encourage gratitude, for spiritual ascension, help to stimulate compassion and empathy, to establish a connection with nature, help to release blockages and balance the heart chakra energy. To facilitate feelings of love and friendship, help healthy pregnancy, development of the unborn child. 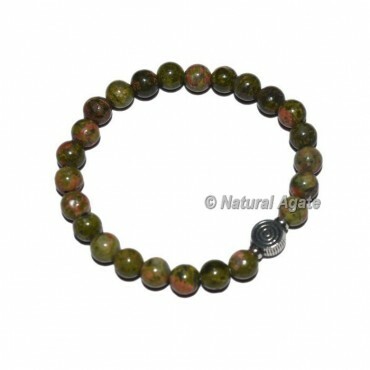 Attractive choko reiki bracelets made from highly polished green and pink shaded gemstones. For any special order and change of design for the bracelet contact us directly.